Fuel tank capacity - 16.9 gal. (65 liters). 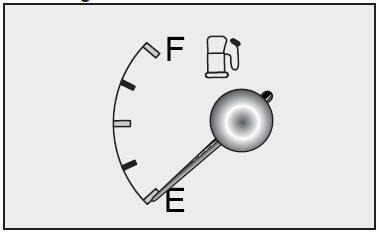 The fuel gauge is supplemented by a low fuel warning light, which will illuminate when the fuel level has dropped to about 2.2 gal. (8.5 liters).